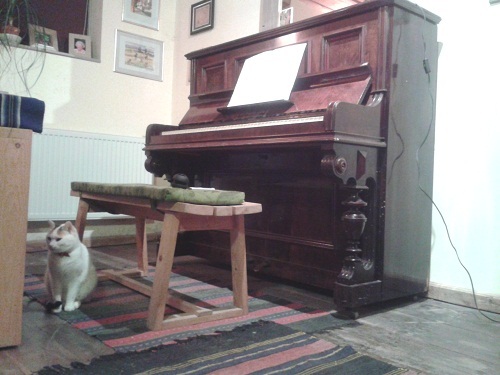 I mentioned in the last blog that I bought a piano. It does seem a bit of a daft idea bearing in mind we live all the way over here, I know, but I had this plan to get it all sorted whilst we were in the UK, and I jolly well didn’t want to deviate from this, in case the window of opportunity slammed itself shut. Backing up for a minute: I have always thought a home wasn’t a proper home unless it has a piano and a grandfather clock. Who knows where I have got that notion. Anyway I had put a few feelers out in Burgas, and even came across an upright for sale in a second hand shop. It had been stored in a warehouse for a number of years, smelled of damp, half the keys were out of tune and the rest didn’t work at all. 400 leva they wanted! Hm. So I checked Gumtree, Preloved and of course eBay in the UK, and my appetite was well and truly whetted. It only took a couple of emails once I was over to find a couple for sale nearby, and it was a gorgeous beast in St Albans, with beautiful inlaid daffodils, shapely legs and a lovely tone that I fell in love with. At starting bid of £100, how could I refuse? But, what about getting it to Bulgaria, I hear you cry. Well I’m glad you asked. 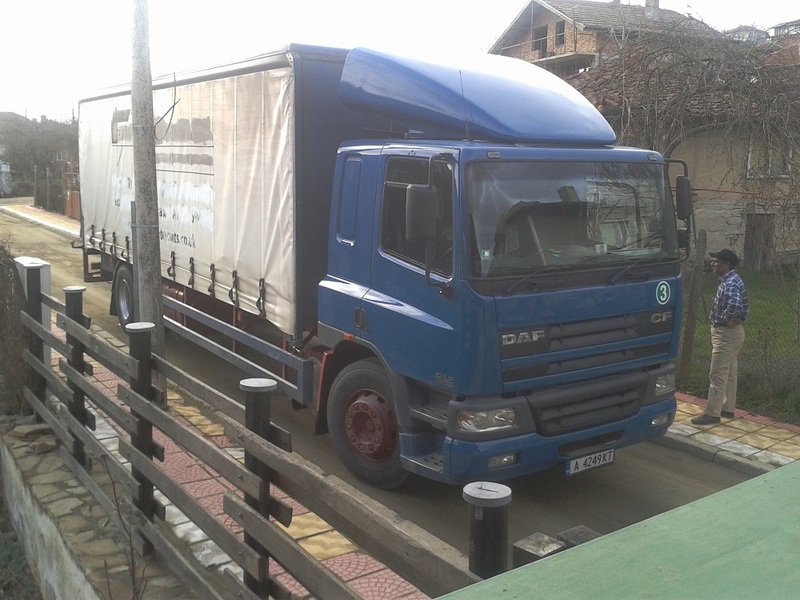 I did a bit of research and discovered that the cheapest way to do it was to get a Bulgarian transport company to pick it up for me. “Yes we’ve got a tail lift!” they confirmed, when I told them it was a pretty heavy piece of kit. It seemed a little strange then, when it arrived in NovoP, that they decided not to use it. 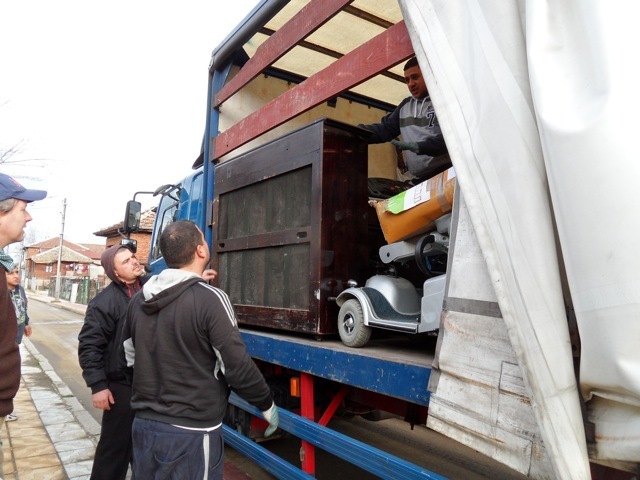 I couldn’t watch as they simply leaned it backwards, Laurel & Hardy style, into the unsuspecting arms of three tracksuited Bulgarians and half lifted, half dragged a quarter of a ton of piano down the concrete steps into the house. Gravity should do it, right? 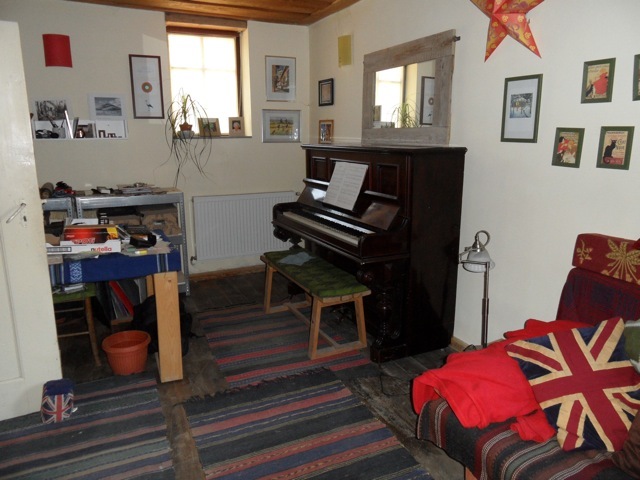 Having got the piano suitably settled, (surprisingly unscathed, I might add) into its new home, it left a bitter taste when one of the lads got ever-so-slightly threatening when it came to the addition of extra costs that hadn’t been mentioned in ANY of the many communications I’d had with them up until then. * This was fully over-shadowed by the fact that I AM THRILLED to have it here for random ivory tinklings at any hour of the day or night! I ABSOLUTELY LOVE IT!! Our trusty Mitko has confirmed that it is in fact the first piano in NovoP – the very idea of there being one in the concert room having been dismissed as “absurd” – and after the palava that was its arrival, we can safely assume that everybody in the village knows it’s here now. Huge thanks go to the ever-so brilliantly helpful eBay seller Glen who – along with his dad, whose garage it was in – bent over backwards to help get the pick-up organised. * Of course I’ve written a colourful email to inform the company of my displeasure, to which I absolutely don’t expect to get a response. And that will mean that we NEVER use their services again. Which is a shame, as until the threatening behaviour, the service had been pretty great! too right. I have no idea what I did with my hours before it arrived….